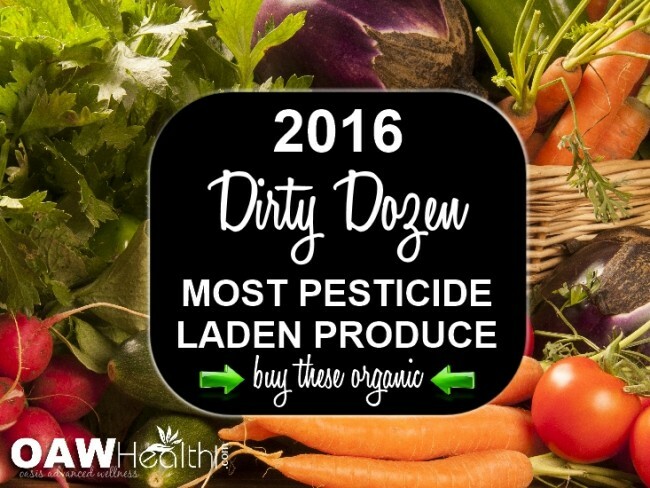 The 2016 Dirty Dozen Vegetables and Fruits list from the EWG (Environment Working Group), released Tuesday, April 12, 2016, is based on tests conducted in 2014 by the U.S. Department of Agriculture on 6,953 samples of fruits and vegetables. 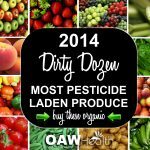 While almost 3/4 of the samples tested contained residue from at least one pesticide, each year the EWG comes up with its list of the dozen different fruits and veggies that toxic-chemical-aware consumers should know before purchasing. It’s important to understand that “this year’s update of EWG’s Shopper’s Guide to Pesticides in Produce™ reports that USDA tests found a total 146 different pesticides on thousands of fruit and vegetable samples examined in 2014. The pesticides persisted on fruits and vegetables tested by USDA – even when they were washed and, in some cases, peeled.” These findings indicate that the conventional fruit and vegetable industries are choosing to ignore an obvious market trend which shows American consumers are definitely voting with their pocketbooks for produce that contains less pesticide. And this is definitely demonstrated by the crowds that currently choose to shop at their local farmers’ markets rather than the local grocery store. 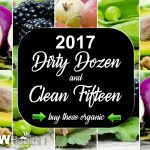 Now for the good news…below are the 2016 clean fifteen vegetables and fruits that do not need to be purchased organically. 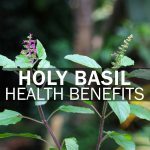 However, we still encourage people to shop their local farmers’ markets and support locally grown vegetables and fruits.